Geoffrey Elliot Loveday is a full-time professional hypnotherapist and hypno-analyst as well as being a certified hypnosis instructor with the AIA. 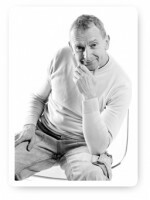 Geoff has had experience in Hypnosis for over 30 years – has had training with a renowned stage Hypnotist, Andrew Newton (who taught Paul McKenna), also Rob Kelley (IAPH), and Igor Iedochowski (IAPCH). Geoff has been working with people to help them resolve their issues for over 30 years. As an established member of the International Association of Pure Hypnoanalysts, Geoff uses a unique form of hypnotherapy, called pure hypnoanalysis. Geoff has travelled around the world practising and teaching Hypnosis; he is also proficient in teaching and healing with the Body Code™. Geoff is a highly-experienced, fully-qualified hypnotherapist and hypnoanalyst and maintains a busy private practice. Geoff practices Pure Hypnoanalysis, a cutting edge approach to integrating hypnosis, regression and free association for reprogramming the subconscious mind with positive beliefs. 3 or 6 day training courses allow you to complete your training in a focused and efficient way. 12 month ongoing training is available with the gold and silver packages. Lessons focus on practical skills training with 24/7 support and exclusive access to the official Hypnosis International Training Facebook group. You will learn how to think like a hypnosis therapist and analyst – assessing client issues, using specialist techniques for individual problems, designing and delivering treatment plans. Specialise in evidence-based and cognitive-behavioural approaches to hypnotherapy and hypnoanalysis using an advanced method of free association with the subconscious mind. Hypnotherapists have been working with people to help them resolve their issues for hundreds of years. Geoff is an accredited member of the International Association of Pure Hypnoanalysts (IAPH), teaching students the single most effective form of therapy available in the world today – Pure Hypnoanalysis. Pure Hypnoanalysis goes beyond the normal suggestive hypnosis (otherwise known as clinical hypnosis) as it is a highly developed and advanced form of hypnoanalysis, resolving the root cause of subconscious blockages to effectively heal patients and free individuals from their symptoms – permanently. Geoff also practices kinesology certified Body Code™ practitioner, a breakthrough healing system Hypnoanalysis, in its various forms, is practised all over the world, though only IAPH Members are trained to practice the amazing ‘Pure’ version. Read more about it here. The IAPH has been in operation since 1984. It is the largest groups of hypnoanalysts in the world, and the only group of pure hypnoanalysts. Geoff’s hypnotherapy practice is called Liverpool Hypnosis Practice, based in Liverpool, England. Hypnosis International Training is accessible to clients worldwide.